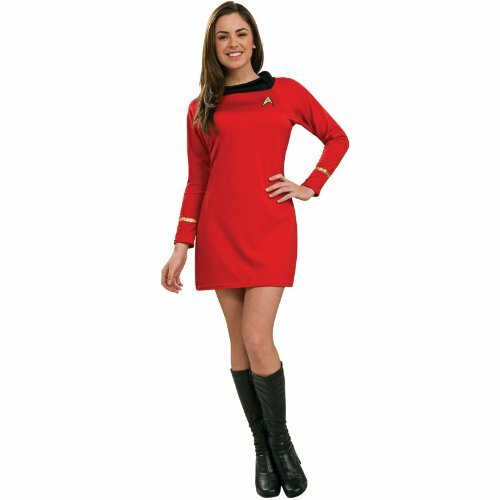 Our Star Trek toss dress uniform costume includes a classic long sleeved dress with black collar and Starfleet emblem. 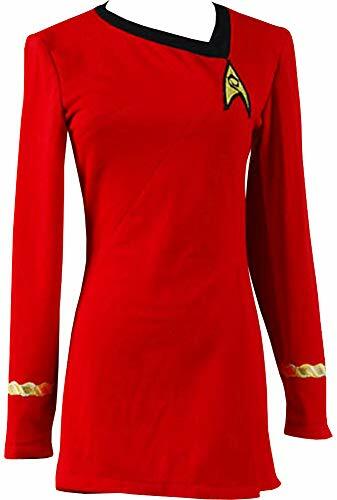 Choose your Star Trek the original series uniform dress red, gold, or blue. 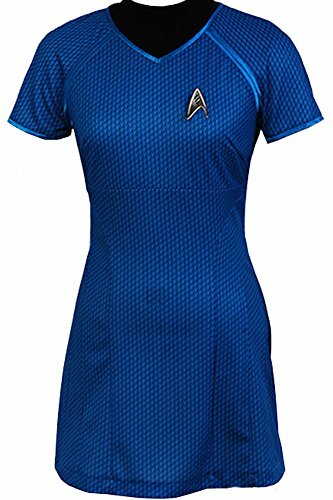 The dress measures approximately 33" From the shoulder to the hem. 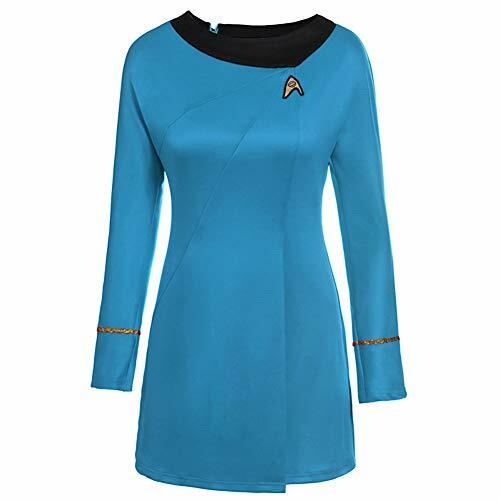 This Star Trek toss dress uniform comes in adult sizes X-Small, Small, Medium. 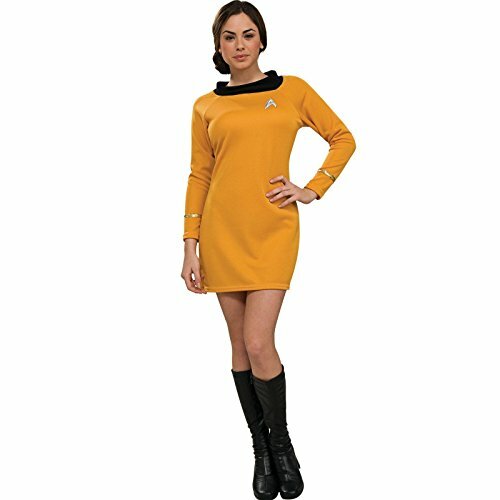 Womens Star Trek boots are available separately From the adult Star Trek dress costume. 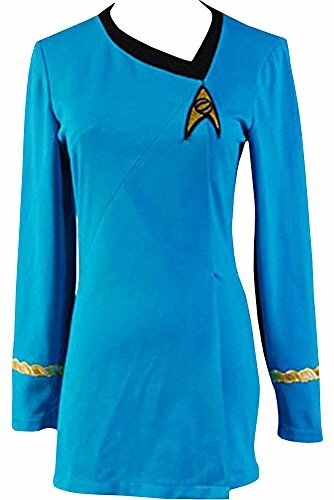 Random Reacts: Star Trek TOS Uniforms Are NOT Sexist!